Doug Polk, one of the top online high-stakes cash players and a 2014 WSOP bracelet winner, has received plenty of attention lately for his Twitter beef with popular poker pro Jason Mercier. 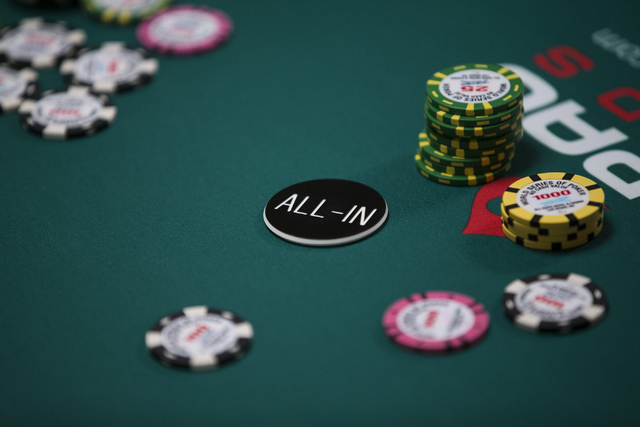 Here’s what to expect today in the World Series of Poker. * Doug Polk, one of the top online high-stakes cash players and a 2014 WSOP bracelet winner, has received plenty of attention lately for his Twitter beef with popular poker pro Jason Mercier. Polk will be in ninth place when action in the $3,000 buy-in Six-handed No-limit Hold ‘em event resumes. Six-time bracelet winner Daniel Negreanu also is one of the 26 players still alive in the tournament. * Ray Dehkharghani, a 45-year-old professional poker player from Leawood, Kansas, won the $10,000 buy-in Seven-card Razz Championship ($273,338), denying Mercier of his second victory in three days and a mid-six-figures payout in side bets. The Iranian-born Dehkharghani finished second to legendary poker pro Doyle Brunson in the $1,500 Limit Razz event in 1998. It is the first career bracelet for Dehkharghani and brings his career WSOP earnings to $780,912 from 17 cashes. * Sam Soverel of West Palm Beach, Florida, won $1,000 buy-in Pot-limit Omaha tournament ($185,317). It is the first career bracelet for the 25-year-old high-stakes cash game specialist. “That’s what I’m most disappointed about right now. I had a bunch of bets on winning two bracelets, and the huge one on winning three. It’s like almost impossible to win three when you get a second-(place finish), because it means you’re going to have to get heads-up four times. That’s tough to do. I’m just a little disappointed for the equity of my bet. Obviously I won more money, and you can’t be too disappointed anytime you get heads-up for a bracelet, but I’m pretty disappointed. I don’t feel like there was too much I could have done heads-up. He played very well, and it just wasn’t meant to be.” — Mercier, after finishing as runner-up in the $10,000 buy-in Seven-card Razz Championship.